Five weeks ago we started on site with a project for Shirebrook Town Council and their partners Bolsover District Council, enhancing the market square of the north east Derbyshire town and ensuring residents have access to local services. So what are we doing? We’re building a fantastic new Town Hall, a whole new facility for the town and a key resource for many local people. Once finished, partners in the project, Bolsover District Council, will rent the ground floor of the building, providing local people with a place to talk about housing issues and pay their rent, while the upper two floors will be the Town Council’s chambers and offices. The two storey building is replacing a shed-like building which isn’t fit for purpose on the market place, which had previously housed the town’s market stalls. With the shed now demolished and the groundworks prepared, this week we’re about to begin the month-long process of erecting the timber frame structure, which will all be captured on time-lapse camera! 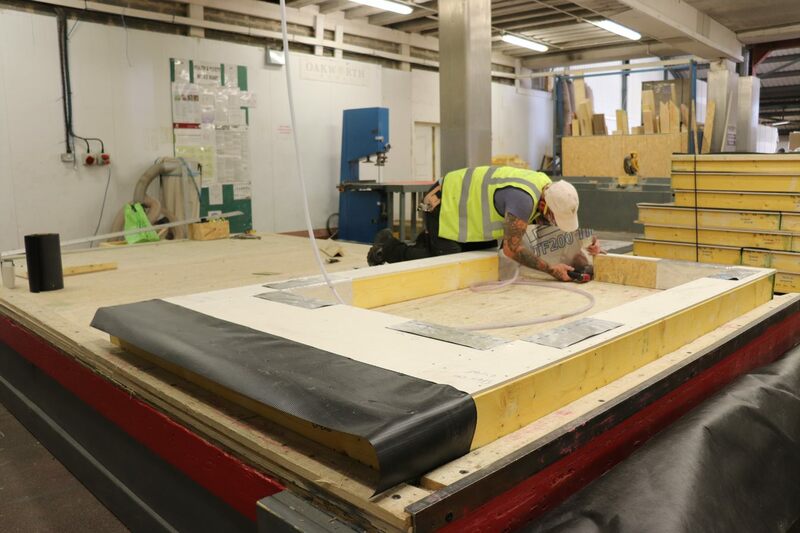 The structural elements and layout of the building have been built off-site, with each element of the structure being pre-fabricated, ready to put together in situ. It’s a tricky process, but a speedy one, reducing the programmed length and the impact on local business and residents alike. The site is also very limited on space, so the timber frame reduces the practice of dirty works on site usually, characterised by traditional brick and block builds. This means there will be less disruption, less noise and we will be finished much quicker. 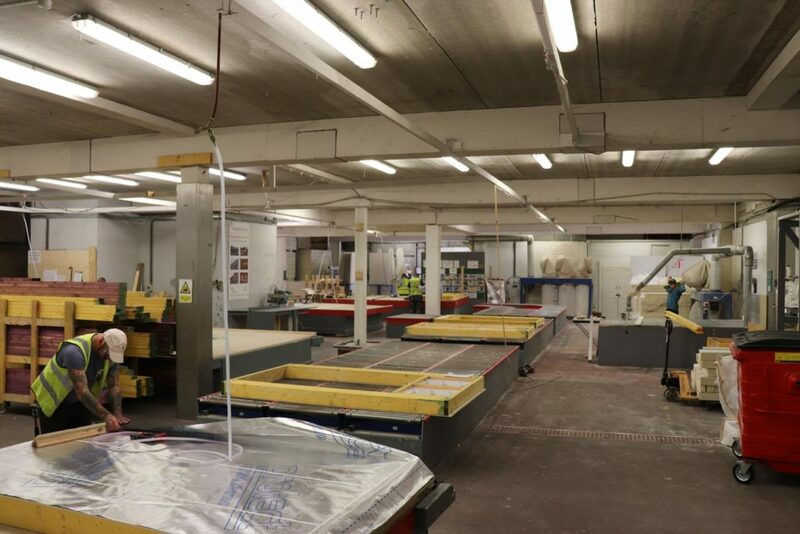 We paid a visit to the Oakworth Sheffield factory to see the timber frame being put together. You can see the actual timber frame we’ll be using taking shape in the image below. They were even kind enough to let us shoot some video. Watch this space to see the outcome! We’re really enjoying this project so far, working alongside both Shirebrook Town Council and Bolsover District Council is a real positive experience, as we’re working as partners in a project that’s set to have a real impact on the local community. What more could we ask for? We have rented out the vacant shop next door as our site office, again investing back into the community. We will hold a number of drop in events from here to keep the community informed. Keep an eye on the website to see our updates on this project as the process continues!